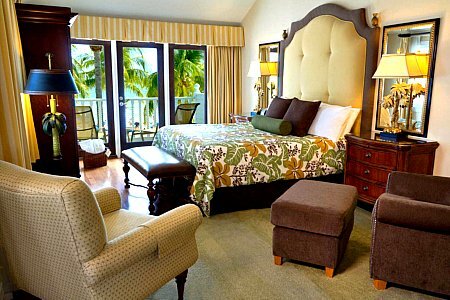 In 2012, the Southernmost Hotel Collection was awarded the prestigious Key West Lodging Property of the year award. In this economy, today's vacationers are particularly savvy. They're looking for an all inclusive vacation where they can be pampered in a luxurious environment and enjoy a variety of activities and events. They also expect to be treated well for the amount of money they're spending. We spoke with Carrie Babich about this recent honor, and the basic philosophy they practice at their 4 resorts. What was particularly interesting is their complete dedication to their guests, and the high standard of excellence that they instill in all their employees. 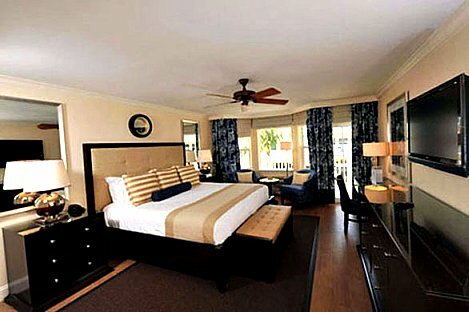 The Southernmost Hotel Key West Collection does not settle for good, only perfection will suffice. This philosophy is their strength and is exemplified by their willingness to go one step beyond the "Golden Rule." They've elevated their level of service and dedication to a level of perfection that they refer to as the "Platinum Rule". This is the reason they were chosen for this prestigious Key West award. It's also the reason their guests return time after time. 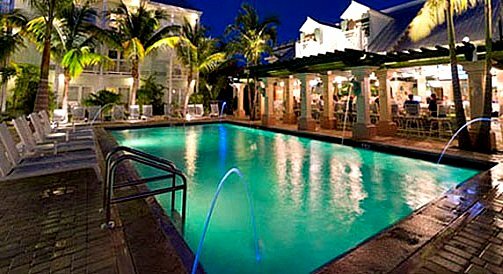 FKV: Congratulations on being named the Key West Lodging Property of the year! 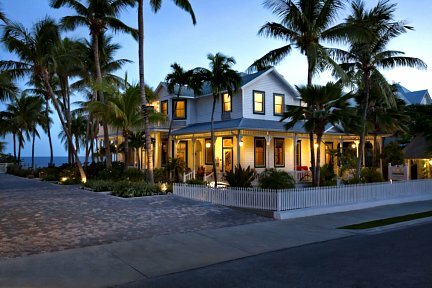 Key West is home to a strong group of outstanding lodging establishments and to win this award speaks volumes about your Southernmost Hotel Collection. Please share with us a bit more about what this means to the Southernmost Hotel Collection and what you did to win this award. SHC: Well, first and foremost, one of the things that we're known for is our excellent customer service. Our motto is to strive to ensure every guest has the time of their life. Our employees take pride in our reputation and services, and they consider all of the guests their personal responsibility. We spend countless hours coaching and training our employees on how to treat guests. Then we go by the platinum rule where we treat guests the way they like to be treated. Also, every year we put upwards of a million dollars into capital improvements. Our rooms are beautiful, our exteriors are beautiful, our landscaping is lush. I think our success is due to the combination of treating our guests the way they like and want to be treated, and then having a very nice product. FKV: Of course when people travel to the Florida Keys and Key West in particular, they want to see lush, spectacular landscaping. It's part of the package they're expecting. They enjoy being out on the grounds, and of course when they go inside to their room, if it's attractively appointed, that just makes it all very special for them. Tell us Carrie, how does it work with your different rooms? For example, let's start with Southernmost on the Beach. You obviously offer different sized rooms, but what are the standard amenities one would find? SHC: I think one of the most important things is the ocean view. Every room at Southernmost on the Beach has some type of view of the water. Either it's a full ocean view to a little snippet of an ocean view, but every room can see part of the water. 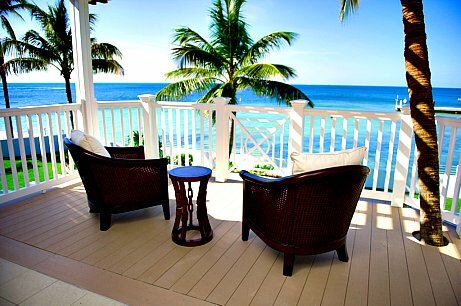 The view is first and foremost why people like to spend their vacations at Southernmost on the Beach. All of our rooms have refrigerators, as well as complimentary coffee and coffee makers. Then there's the usual amenities you would have such as iron and ironing board, in room safe and those types of things. 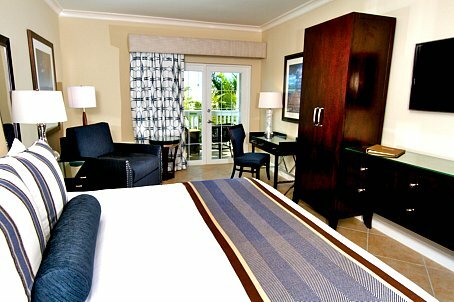 Also, most of our oceanfront rooms have turn down service and little wet bars and blenders. You can sit out on your balcony and drink the pina colada that you just whipped up fresh in your blender, then relax while enjoying the beautiful ocean view. The ocean views really are beautiful, and this will help put that into perspective. In 2007, I believe it was, we bought and demolished the Atlantic Shores. We then added on 80 brand new rooms creating the new Southernmost Hotel on the Beach. Part of the process before the rooms were complete was that I did site inspections on the new rooms. I'd go out on the balcony and say to those with me on the inspection, "See, you're so close to the water you can see fish!". Truly you are almost that close. It's beautiful, absolutely beautiful. We have sunrises every morning from the property, and then we have winter sunsets that are breathtakingly beautiful. FKV: It truly does sound magical. So does every room have a balcony, and do the ground floor units have patios? SHC: The majority of the rooms have a private balcony, and then the original Southernmost on the Beach has little terraces that aren't private, but are shared. We have what is called the West Lawn and we have all of the adirondack chairs out on the west lawn. Guests sit out there and every evening during the winter we have a sunset celebration where various local entertainers perform island music. FKV: So you added to the Southernmost Beach by tearing down the Atlantic Shores. How many rooms does this hotel in the Southernmost chain have now? FKV. Are any of your facilities pet friendly. FKV: OK, so now looking at the Southernmost Hotel. With this hotel you're across from the beach, correct? FKV: I understand that when you're staying at the Southernmost Hotel you're also have access to some of the amenities the people staying at Southernmost on the Beach have. So tell us how this works. Is it going to be more economical for someone to stay at Southernmost Hotel as opposed to Southernmost on the Beach? FKV: I know this is a hard question as there are numerous factors to consider, but can you give us a percentage in terms of how much more economical it would be for someone to stay at the Southernmost Hotel? SHC: Hmm, it would probably be about 20% less to stay at Southernmost Hotel vs. Southernmost on the Beach. FKV: That's quite a bit. So if someone wants to enjoy the luxury that comes with staying at the Southernmost Hotel Collection, but also wants it to be as cost effective as possible, they can maximize their efforts by staying at the Southernmost Hotel. They would also then have the ability to go across the street and use and enjoy all the facilities, including the beach and ocean, that Southernmost on the Beach provides. FKV: That really is fantastic for your guests to have this kind of flexibility when staying with the Southernmost Hotel Collection. FKV: Now I understand that you have a number of different Schools that are complimentary for your guests to enjoy. Can you tell us about your different Schools? SHC: Those are great! We have 5 complimentary Schools at the Southernmost Hotel Collection. One is called the Coffee School and is held every Sunday at 9:00 a.m. and it features a demonstration from a local Barista on how to brew different types of coffee. This also gives the guests an opportunity to purchase some of the different coffees and the little coffee maker which is quite cute. 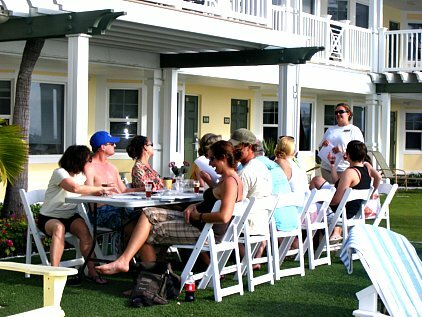 Then we also have the Wine School which is held every Thursday at 3:00 p.m. over at Southernmost on the Beach. Guests are educated by our in-house Sommelier on how to purchase, pair, and taste a variety of wines. Then we have fruits and cheese, or cleansing of the palate in between each tasting. It's a lot of fun, and a lot of our guests enjoy this School. We also have a Beer School which we hold twice a week. Tuesday at the Pineapple Bar at the Southernmost Hotel and then Wednesday over at the West Lawn at Southernmost on the Beach. At this School, attendees are taught about the history of beer, and also are given the opportunity to learn about taste as they sample 4 different types of beer. FKV: So is the beer from local micro-breweries? SHC: Yes. It's is, and it's usually whatever we have on tap at the Southernmost Hotel Collection at the time. Then we also have Paddleboard School which is held every Tuesday at 10:00 a.m. at Southernmost on the Beach, in front of Southernmost on the Beach café. Juan de la Playa is our instructor and he teaches guests how to paddleboard. They learn how to handle standing up on the water for hours at a time and how to paddle out into the Atlantic. It's pretty cool. We also have the very popular Snorkel School. That's held every week day at 10:30 a.m. and you learn the importance of protecting the reef, and you're coached on how to properly snorkel with the correct snorkel gear. Then you do a couple of test swims inside the pool and after, our Director takes the guests to our oceanfront pier. There they get to snorkel out in the Atlantic Ocean around our pier, sightseeing for tropical fish. It's a lot of fun and popular with the guests staying with us. FKV: The tropical fish would definitely be congregating around the pier. Are the guests also taught how to identify some of the more popular species of tropical fish? SHC: Yes, they get a chance to learn about what they'll see in the water. FKV: Now what can you tell us about your La Mer and Dewey House properties? I know they have the same address and they're an upscale bed and breakfast. What should we know about these facilities as part of the Southernmost Hotel Collection? SHC: The La Mer Hotel is what was once considered, hmm I think they called it a flop house, although I'm not sure if that's the correct terminology. Perhaps it was more like a boarding house at the turn of the century, in the early, early 1900's. When we purchased it in 1985, it was already a bed and breakfast. We ran it for 10 years as an 11 bedroom, ocean front bed and breakfast. Then in 1995 we purchased a private home right next door to it. FKV: So that's the Dewey House? SHC: Yes. Then we turned the Dewey House into an 8 bedroom bed and breakfast. We of course knocked down the fencing in between the two properties, and now we have a beautiful walkway and a gorgeous ocean front fountain. We also created a little terrace off the back of the Dewey House where we have a really nice expanded complimentary breakfast. It includes made to order waffles, quiche, fruit, pastries, etc. We also have afternoon tea with fresh fruit, cheese trays, and pastries. All guests at both facilities go to the back of the Dewey House to the veranda to enjoy these amenities. 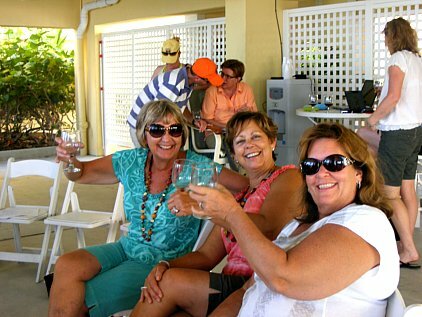 FKV: Well of course bed and breakfasts and Key West are almost synonymous. In fact I don't believe I've ever seen so many B & B's in such a small concentrated area. However, what you've created at the Southernmost Hotel Collection sounds like a uniquely and delightful experience. Of course, you're also right on the Atlantic so you have the water view. Do the guests have a beach as well? SHC: Yes they do, but it's a common beach and it's called South Beach. All of our guests use that beach. FKV: That can be a busy beach but it's beautiful. SHC: Yes, but the property is a AAA 4 Diamond Resort. It's a beautiful Victorian home, turn of the century. FKV: I imagine there's a lot of history to these homes, especially with the La Mer having been a flop house or boarding house. Often, in these older Victorians, the management will have old photographs depicting them as they once were. As part of the concept for this facility, do you have old photographs on the walls? This would give guests a perspective or sense of what these wonderful buildings were like back then. Have you done this? SHC: We don't at the La Mer. In fact there's very little information on the La Mer at all. However we just received a little bit more information on the Dewey House. It was in fact the private home of John Dewey who was a philosopher and educator, in I think it was the 1960's, but I'd have to check that to be sure. He would come here for the winter months and work on his various projects. FKV: That's interesting. Now Carrie this is a bit off the topic but I'd like to ask it if you don't mind. Key West is well known for it's older haunted buildings. Some of these buildings, like the La Mer, have had a more than unusual past. Have you heard any reported incidents of anything 'other worldly' occurring at either of these two facilities or for that matter at any of your other locations? SHC: No, not at all. FKV: Good, that should put nervous guests at ease! Now one of the more popular trends these days with vacationers is to go on an "all inclusive resort vacation". They want all the bells and whistles, and they want them to be in one place so they don't have to leave the property unless they want to. FKV: One of the main goals you strive for is to put your guests at ease. 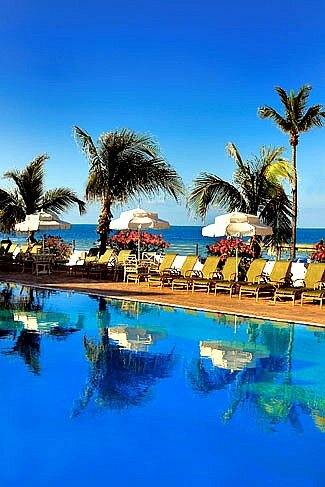 To create this wonderful, perfect, all inclusive resort vacation where everything is right there for them. All the luxurious comfort, and amenities they could want, correct? SHC: Yes it is. In fact we do a lot on property which keeps the guests there. 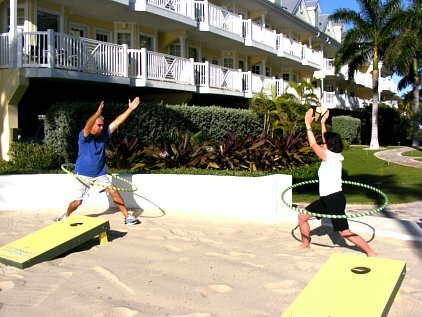 At Southernmost Hotel Collection we have an Activities Director who not only participates in and provides our various schools, we also have free fitness classes like water aerobics, yoga on the beach, and hula hoop fitness. 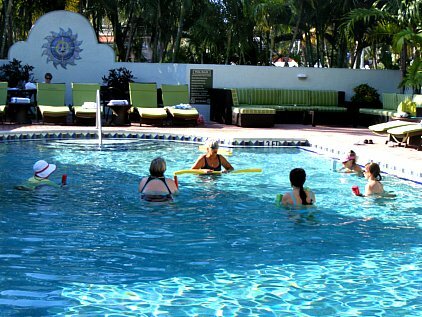 There's also a wide array of activities such as pool games, the Newlywed game, Key West trivia, tournament hours including ping pong, shuffleboard, board games, etc. So to recap, we have the beach. We also have a full service restaurant right there on the beach serving breakfast, lunch and dinner, called the Southernmost Beach Cafe. This is part of the Southernmost Hotel Collection as well. We of course have all of the various schools, all these different activities, plus we have live entertainment at 2 of our 3 pools. Entertainment at the Southernmost Hotel pool and at the Southernmost on the Beach's pool is every Thursday, Friday and Saturday. Then again during the winter at sunset we have entertainment out on the West Lawn during our Sunset Celebration. There's a lot of things for our guests to do right there on property. Our guests love to just hang out and relax in the hammocks and listen to music, or play some games, or taste some wine. Of course they can have breakfast, lunch and dinner right there at the restaurant as well. FKV: That truly does make it an all inclusive Florida Keys vacation getaway for guests staying at the Southernmost Hotel Collection. Now I realize that there is an interchanging of amenities between your guests if they stay at Southernmost Hotel and Southernmost on the Beach. Plus if you're staying at La Mer or Dewey House they interchange their amenities as well. But do guests at La Mer or Dewey House have access to the different functions or activities at the Southernmost or Southernmost on the Beach? SHC: Absolutely. Every guest, whether they stay at Southernmost Hotel, Southernmost on the Beach, La Mer or the Dewey House has access to every single amenity, every single school, every single service such as fitness centers, etc. The only difference is that our guests at Southernmost Hotel or Southernmost on the Beach do not have access to La Mer or the Dewey House. Those two are very private, with very personalized serviced for every individual guest staying at La Mer or the Dewey House. FKV: So these two facilities are even more upscale. SHC: Yes, they're 4 Diamond. Very high end. A very expensive environment with very personalized service, caring for each guest individually. FKV: I'm glad you pointed that out, because that's very good for our Readers to know. Now another question for you, and this relates to families traveling with children. Even though Key West is adult oriented, people with children do vacation here. Which are of your facilities would you consider to be the most 'kid friendly'? SHC: Out of the 4 hotels, I'd say the Southernmost Hotel is the most family - kid friendly. Our Activities Director there does more arts and crafts for children, but typically Key West is not a family destination. However, when we do get families, we definitely take care of them. 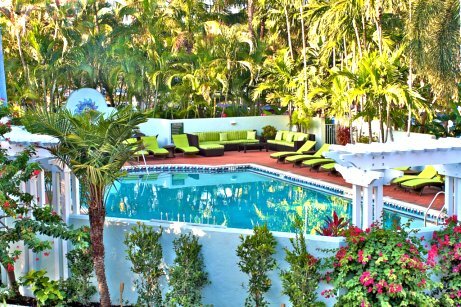 Going back to the adult theme, as I mentioned earlier we do have 3 pools in the Southernmost Hotel Collection. One of those we call the Tranquility Pool and it's an adult only pool. It features a really nice front scape. There's upscale wicker chaise lounges, outdoor living room furniture with really thick mattresses, it's all designed to create a very serene setting. FKV: That's good to hear, because if you're on a romantic or a restful vacation, it's nice to sometimes have that separation where you can totally relax and unwind. Now with your pools, do any of them have swim up bars? SHC: They're not really swim up bars, but they're very close to the pool - about 5 feet away or so. The Southernmost Hotel Collection has two bars. There's the Pineapple Bar at the Southernmost Hotel and that offers the sports ticket. It's kind of a sports bar that includes channels like the NFL, NBA and Goal TV. FKV: So you can swim and catch the game at the same time! SHC: Yeah, yeah exactly! Then there's the Shores Bar, they're known for their delicious tropical drinks, and friendly service. Everyone here is just really very friendly, super nice. These bars are just here for the guests, they're not open to the public. FKV: This creates the perfect opportunity for guests to make new friends as well. FKV: I know there are peak seasons obviously, but do you run extra specials throughout the year that people should be aware of? SHC: Well during our off season we do offer a "Stay 4 nights and get the 5th night free". There are certain available dates that occur between June 1st and December 22nd. FKV: Do you have any new programs or development plans you'll be implementing soon? SHC: Well, as I said originally, the Southernmost Hotel Collection takes very good care of our product and each year we put upwards of 1 million dollars into renovations and capital improvements. August 2012, the Southernmost Hotel Collection is gutting two separate buildings and redeveloping the rooms. We're also getting rid of all the asphalt on the property and replacing it with pavers so we'll have no asphalt on any of our properties. Then of course you never know, but I'm sure we'll come up with a new activity or new school between now and then. It all depends on who comes up with the next creative idea and what it is! FKV: Well your schools are absolutely incredible. That has to be so much fun for your guests. Of course with such a variety of schools, activities and events to enjoy you could go and stay two weeks and probably not be able to do everything. That's a nice problem for anyone staying at the Southernmost Hotel Collection! FKV: Does the Southernmost Hotel Collection have a convention facility? SHC: We do, but it's a relatively small meeting space of about 600 square feet. It can hold approximately 25 people so we have a lot of smaller businesses or small incentive groups, or small family reunions. Unfortunately the Southernmost Hotel Collection doesn't have a convention room with the larger square footage to accommodate the larger groups. FKV: What about Key West beach weddings? Is that something the Southernmost Hotel Collection can provide? SHC: Absolutely! We do a ton of beach weddings. I'd say approximately 100 per year. They range anywhere from 30 to 200 people in size. FKV: When you say you do the weddings, do you do all the catering and all the coordinating? 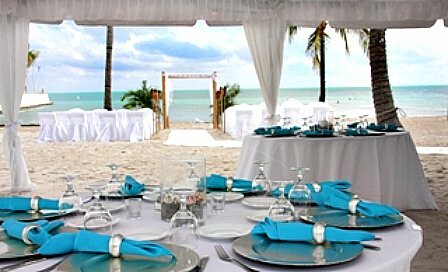 SHC: Well once they've contracted with us for a Key West beach wedding we provide them with a preferred vendor list. This gives them information on suggestions for florist, officiate, photographer, cake maker, music, what have you. We give them our recommendations and then they individually contract those services. What we provide are the basics - the chairs, the tables, all the catering, the arch, the white aisle runner, the white chairs, the tiki lamps, that sort of thing. FKV: So the foundation is provided and they then simply fill in the rest with your vendor list. That's very helpful, especially for those coming in from out of the area. They have no network in place and it would be difficult to know where to start, or who to contact without that kind of direction. FKV: Now one other thing I'd like to ask you. I understand that your collection of Key West hotels also has been awarded the One Palm Designation. Can you please explain that designation and the significance of it? SHC: We received the One Palm Designation by the Green Lodging Association of Florida for being ecofriendly. We recycle paper, metal, glass, cardboard, newspaper, and batteries. We have low flow toilets, and low flow shower heads in the guest rooms. We have wonderful shampoo and conditioner amenities that are called Bee Kind, as in 'be kind' to the environment. All the packaging is recycled material and is biodegradable with a faster than normal time. We use these products and each guest is also told about our reuse program. We have little cards in the room that say "If your towel can be used tomorrow, please leave it hanging up." All of our light bulbs on the grounds are fluorescent bulbs, and we only use energy star equipment. FKV: You're very proactive, that's good. One of our recent articles was about sea turtles and the detrimental affects that indoor and outdoor lighting can have on them when they nest. It also talked about the problems lighting causes hatchlings when they emerge and try to crawl to the ocean. Are you proactive in guarding your lighting during sea turtle nesting season, or do you even have sea turtles at your beach? SHC: We do not have sea turtles and I don't know why. I know there are sea turtles that nest on Smathers Beach but to my knowledge we've never had sea turtles on our beach. However we do have low lighting anyway, and if it were to be an issue and we started to get sea turtles, we'd absolutely be 100% proactive and do whatever it takes to protect them. FKV: In conclusion Carrie, is there anything in particular you'd like to share with our Readers? Anything you feel that would be important for them to know about the Southernmost Hotel Collection? SHC: I think it's very important that all of our guests, or potential guests know that we employees are here to ensure they have the time of their lives. We're all committed to that. And if you go to TripAdvisor and read any of the comments about our hotels, I'd say 9 times out of 10 you'll read that they talk about the people. Comments typically are, "I had a great time because of the people who took care of me". For our guests it's all about our level of service. All about the staff they met while on property. FKV: That's a good point. You can go to an absolutely fantastic, beautiful resort and then be treated poorly and have bad service. You're spending a lot of money to be there and when you get shoddy service it ends up leaving a very bad taste in your mouth. You certainly wouldn't consider going back. On the other hand, if you have someone who's very dedicated, and willing to go the extra mile to ensure every aspect of your vacation is pleasurable, you're certain to return. It's a win-win for everyone. Well thank you Carrie for taking the time so speak with us and for sharing this information on your superior Southernmost Hotel Collection. For our Readers I'd like to add that you can get current rates, including specials by clicking here. It will take you to the listing of Key West Hotels and then you can scroll down to Southernmost Hotel and click on it's name. That will take you directly to the TripAdvisor page where you can read other guests comments and reviews and check rates and specials. For information on Southernmost Hotel on the Beach rates click here and scroll down to Southernmost Hotel on the Beach, then click on it's name. That will take you to the TripAdvisor page so you can check current rates and specials for this hotel.